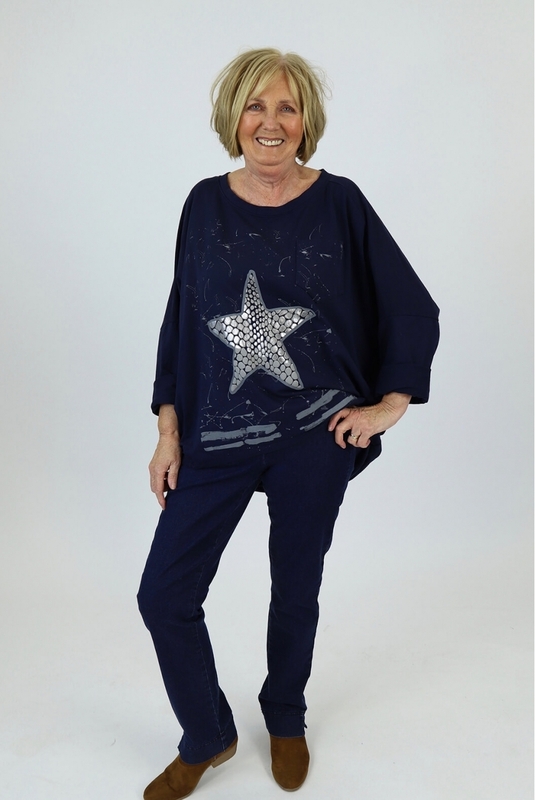 Put stars in their eyes with the Made in Italy Edolo Star Jumper! Crafted from beautifully soft cotton this slouchy style look great with jeans or sweatpants this season. We love the rolled back sleeves, pocket detailing and flocked star to the front.